COVNA's May meeting will feature Senior Officer Dwayne Kinley, our APD district representative. Summer vacation is coming up. 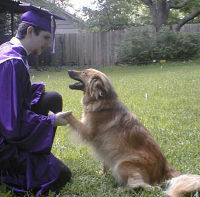 We usually have an increase of delinquent behavior because of unsupervised students. 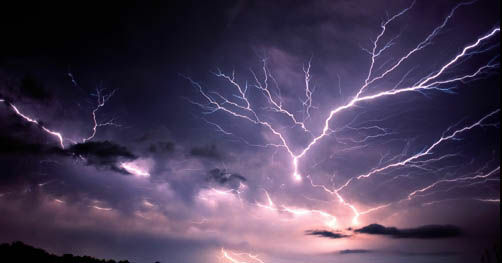 Learn what can you do to assure the safety of your property. 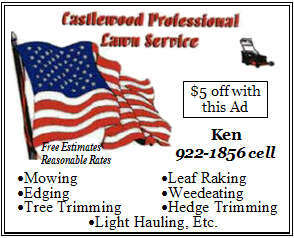 Come with any questions you may have about safety or security issues in our area. Also, we need to plan our June picnic. Austin consistently ranks in the top US cities. In 2006, Money Magazine ranked Austin the 2nd best big city. But statistics point out several disturbing aspects in comparing Austin to the 10 best. We rated twice the average in personal and property crime risks and crime incidents. Another area of concern is education. More details in an article next month. The COVNA meeting on Monday, May 21st, will be our last regular meeting for the summer. Our June meeting will be the annual COVNA picnic. The date and place will be announced at the meeting. 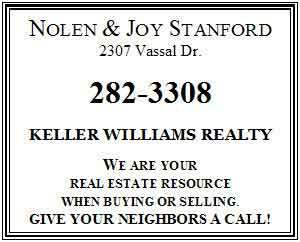 We expect to be faced with the regular things that happen during the summer: water shortages, unsupervised kids, coyotes, and lost pets. At this month’s meeting Senior Police Officer Kinley has agreed to speak to us about policing matters in our area. Please come to listen and ask questions. There is some concern about the traffic problems at the corner of Slaughter Lane and Manchaca Road. We will attempt to collaborate with surrounding neighborhood associations interested in contacting the city to try to improve the traffic flow. According to the Austin-San Antonio Commuter Rail Project, there will be a station built at the intersection of the railroad and Slaughter Lane. So, expect more traffic problems in that area. The “dog days” of summer will be here before we know it. As usual, the school year has flown by and it won’t be long before the kids are home for summer vacation. Having the kids home during the day increases the activity around the household and the neighborhood. The day will consist of children running outside to play in the backyard, out the front door to play with the neighbor kids, back in to cool off and grab a snack. All this activity can greatly increase the likelihood of the family pet escaping from the home. Cats scoot out an opened door as kids run outside. Dogs push open the unlatched backyard gate and head out into the neighborhood. “The numbers of stray dogs and cats always increases during the summer months,” reports Ginger Scott, Lost & Found Program Supervisor at Town Lake Animal Center. So with summer vacation just around the corner, it’s a good time to make sure all your pets have on a collar and identification tag. An ID tag on your pet with your name and current phone number will greatly increase the likelihood of getting your pet back quickly and safely. Two studies published in the Journal of the American Veterinary Medical Association in January, 2007 by Linda K. Lord, D.V.M et al confirm that a simple identification tag is one of the most important factors in whether or not a lost pet is recovered by an owner. Talk to your veterinarian about microchipping also. 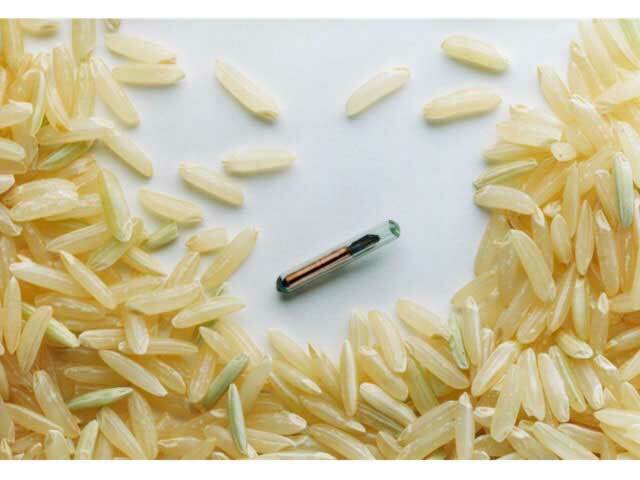 A small chip, the size of a grain of rice, is implanted under the skin of the animal and if your pet is scanned at a veterinarians office or the local shelter, the chip will alert the clinic or shelter that your pet is owned and they’ll be able to contact the chip-maker so that they can contact you right away. A simple collar and tag will prevent the heartache of loosing a beloved pet and will give you the peace of mind that if “Fido” or “Fifi” gets loose this summer, they’ll find their way back to your family! Much is made of the Wildflower Center near our area, but in the opposite direction, less than 10 miles away, lies another gem - McKinney Falls State Park. On Thursday, May 10th, a friend and I picked up an order of wonderful food from Hao Hao, a steady advertiser in our newsletter, and set out for the park. We set out on the 3 mile, wheelchair friendly, hike and bike trail and soon found a shaded picnic table by Onion Creek. Having stuffed ourselves we walked/rolled a good way around the trail, proceeding slowly, stopping to admire the many types of flowers blooming in great profusion after the recent rains. We had hiked another part of the trail and visited the lower falls last year. It was well worth the $4/person price to find a bit of peace, quiet, and beauty so close by. 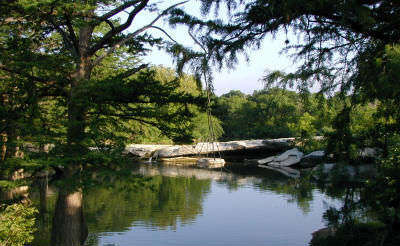 McKinney Falls is a popular and inviting respite from the nearby urban areas featuring over 80 campsites, including developed (RV) and hike-in sites. Screened shelters, group shelters and a group dining hall are also available. 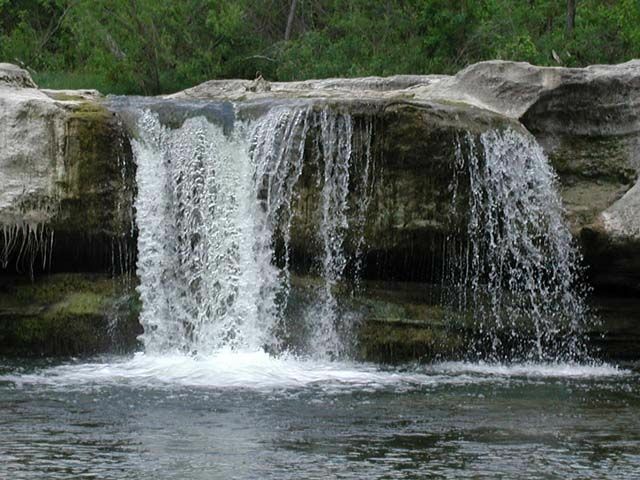 History: McKinney Falls State Park is a 744.4-acre park acquired in 1970 from private donation and opened to the public in 1976. The headquarters of the Texas Parks and Wildlife Department are near this location. The park is named for Thomas F. McKinney, who came to Texas in the early 1820s as one of Stephen F. Austin's first 300 colonists. 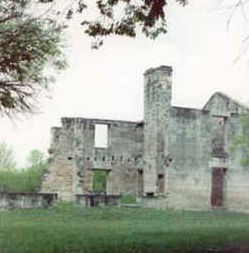 Sometime between 1850 and 1852, McKinney moved to Travis County and his property on Onion Creek, where he became a prominent breeder of race horses with his own stable and private track. He built his large two-story home, stone fences, and the first flour mill in the area with slave labor. Activities: Preserved in the park are the ruins of his trainer's cabin and the stabilized ruins of his own homestead. Information on Thomas F. McKinney and the history of the park's land use is interpreted in the Smith Visitor Center. Camping, hiking, mountain biking, road biking, picnicking, fishing, and wildlife observation are other activities. 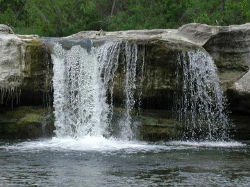 Swimming is now allowed in Onion Creek; call 243-1643 for current creek conditions. Tours: There are various types of interpretive tours with a fee charged per person; contact the park for specific information/reservations. 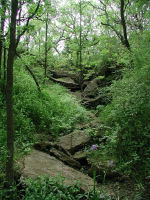 The park has more than seven miles of trails, each unique and worthy of exploration. The leisurely 3/4-mile Smith Rock Shelter interpretive trail begins at the park's Visitor Center, taking visitors past one of Travis County's oldest bald cypress trees and through a natural rock shelter. 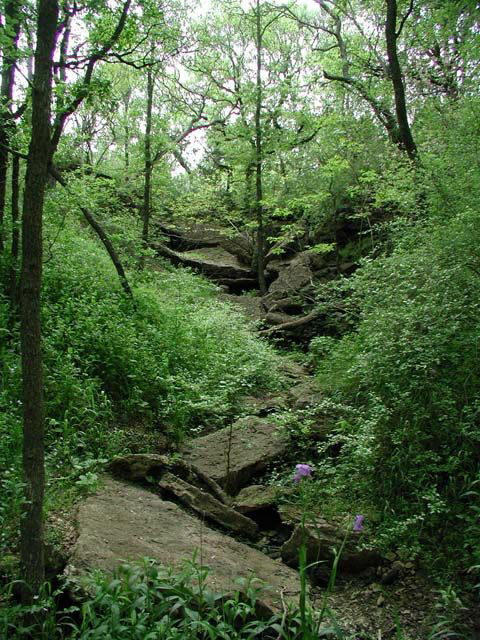 The 3-mile Hike and Bike Trail is paved and wheelchair-accessible, while the 4-mile unpaved Homestead Trail is superb for mountain biking and hiking enthusiasts as well as those interested in the park's history.